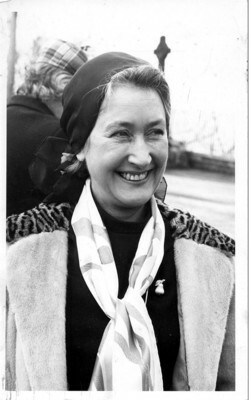 Winnie Ewing became active in politics when she was invited to stand as SNP candidate in the Hamilton by-election in 1967. After a hard fought campaign, she entered Parliament as the only SNP member. 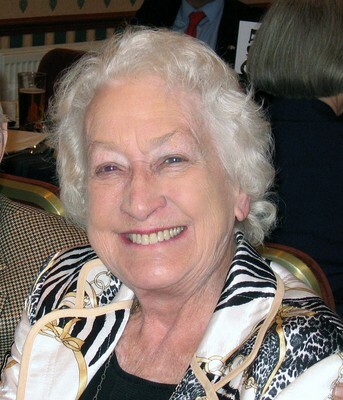 Although she lost the seat in the 1970 General Election, her high profile at Westminster boosted SNP membership and was thought to have been a factor in the Labour Government’s decision to set up the Kilbrandon Commission to examine the case for constitutional change and a devolved assembly. "I want to start with the words that I have always wanted either to say or to hear someone else say - the Scottish Parliament, which adjourned on March 25, 1707, is hereby reconvened." After returning to legal practice, in 1974 she stood for, and won the Moray and Nairn seat for the SNP in the first of two General Elections that year. She held the seat in the second 1974 election, being joined by another 10 SNP MPs. She took up one of the seats allocated to Britain at the unelected European Parliament, which confirmed her conviction in the importance of the European developments, and won the Highlands and Islands seat for the elected European Parliament in 1979. She held the seat for 20 years, earning the title 'Madame Ecosse' that she turned from a jibe to a source of pride. n 1999 she gave up her European seat to stand for the new Scottish Parliament, again representing the Highlands and Islands. As the oldest member, she was the first to be sworn in and took the chair. Russell, Michael, ed. 2004. 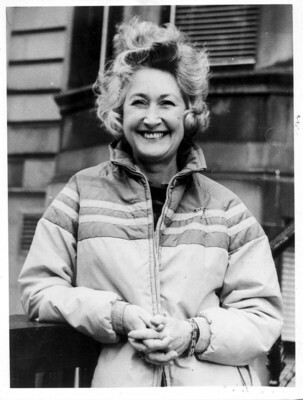 'Stop the world’: The autobiography of Winnie Ewing. Edinburgh: Birlinn. World Changing Project, "Lasting contribution to Scottish and European politics," in University of Glasgow World Changing (University of Glasgow, 2010); http://www.worldchanging.glasgow.ac.uk/article/?id=45 (accessed April 26, 2019). World Changing Project. "Lasting contribution to Scottish and European politics." In University of Glasgow World Changing. University of Glasgow, 2010. http://www.worldchanging.glasgow.ac.uk/article/?id=45 (accessed April 26, 2019). World Changing Project. "Lasting contribution to Scottish and European politics." University of Glasgow World Changing. University of Glasgow, 2010. 26 April 2019 <http://www.worldchanging.glasgow.ac.uk/article/?id=45>.